Digiteal pay button - payment everywhere, anytime! What is the Digiteal pay button? With our easy, fast and secure “One Click” pay button you can proceed to the payment in no time by simply clicking on it, checking the transaction details and confirming it with your pin code. All that by being a client of any bank in the entire SEPA zone. 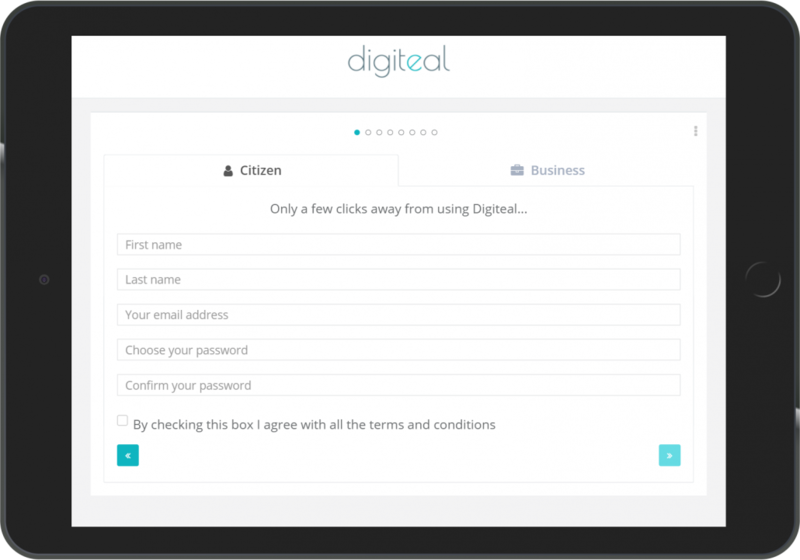 The Digiteal Pay button can be used in e-mails, mobile apps, web portals and of course, in Digiteal. 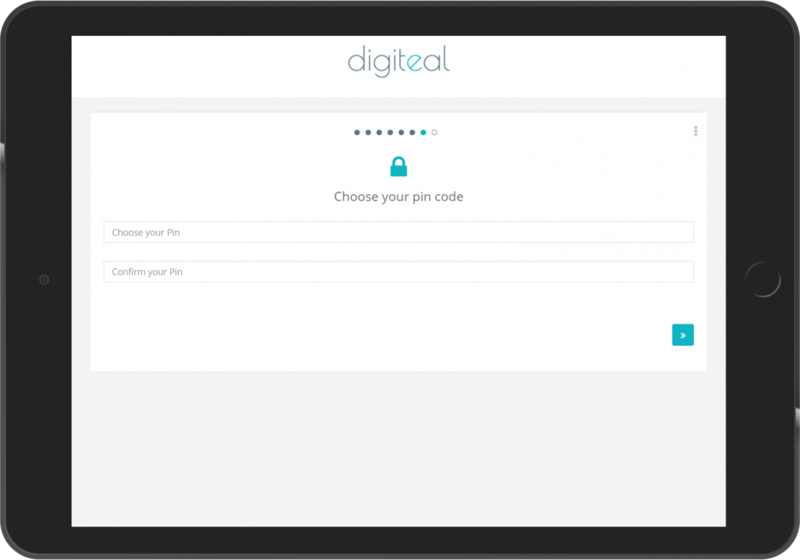 In order to create a Digiteal account, you will need to provide your basic contact information and choose a password. To avoid fraudulent use, you will be asked to prove your identity. 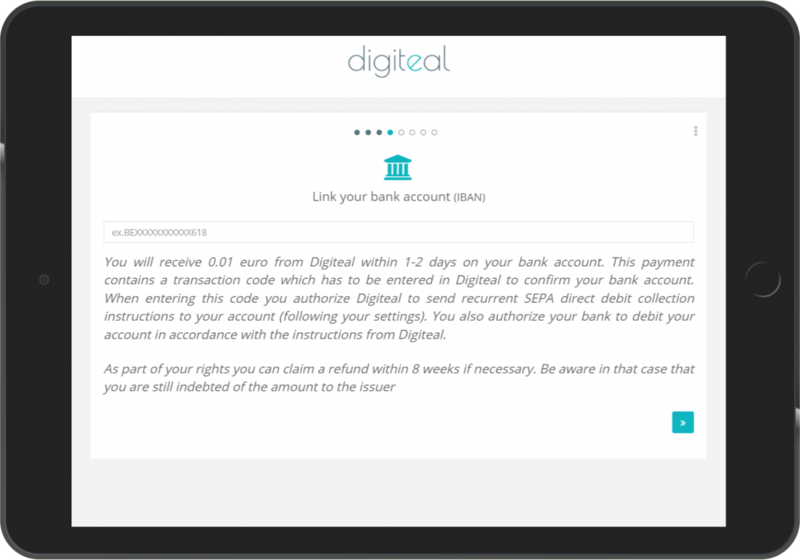 During the registration process, you will be able to link your bank account with Digiteal, in order to be able to perform payments from it. Last but not least, you will be invited to choose a pin code. This is the pin code you will use to confirm all payment transactions performed with the Digiteal pay button.